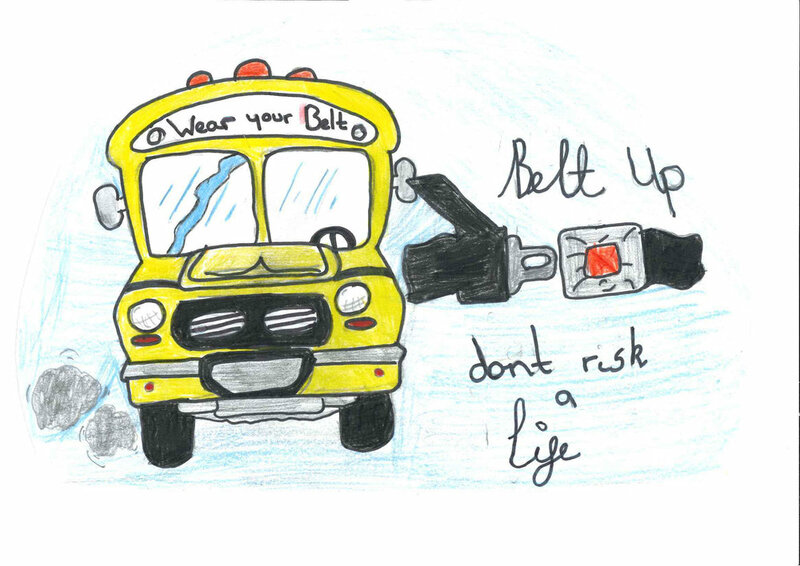 Claire Ingram, 9, who attends Houston Primary School, Johnstone, has won a national Transport Scotland contest to help promote the wearing of seat belts on school transport. The other finalists were Jack Parker, 11, from Law Primary School in North Berwick, who was second, and Dion Benson, 11, from Dalmilling Primary School in Ayr, who was third. 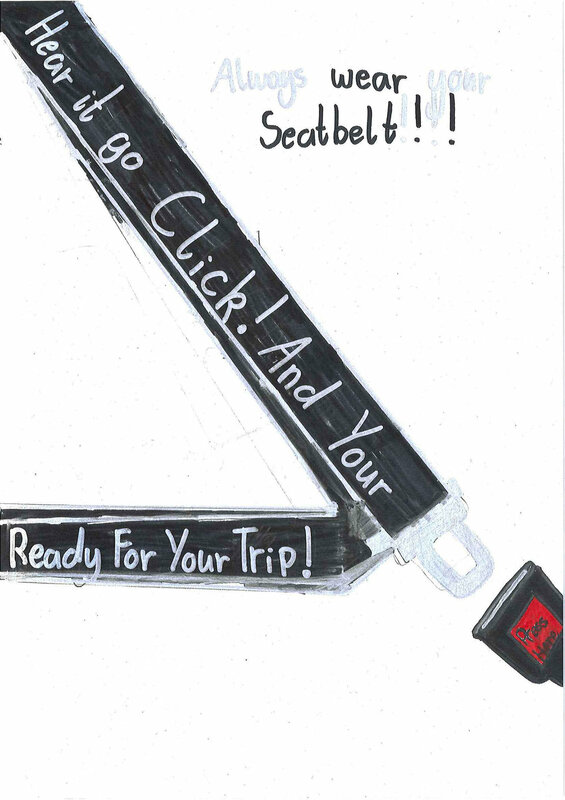 The Seat Belt Design Competition invited primary school children to create a logo and slogan to spearhead a campaign to help pupils of all ages understand the safety benefits of seat belts, instil positive lifelong habits around their use and promote good practice at school and council level. The three finalists were presented with framed versions of their artwork at a lunchtime reception at the Scottish Parliament on 25 April where they met Minister for Transport Humza Yousaf and Gillian Martin MSP. 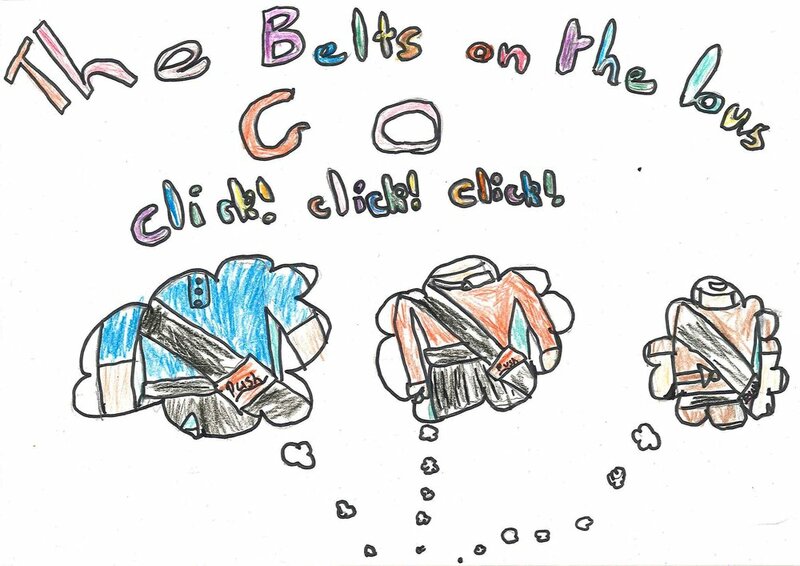 The competition was created by Transport Scotland’s Road Safety Framework team to help raise awareness of the new Seat Belts on School Transport (Scotland) Act which requires, for the first time, all dedicated school transport to be fitted with seat belts. The winning logo and slogan will be used to brand the national guidance and publicity materials, which will be sent out to schools across the country. Mr Yousaf said: “The three finalists were picked from more than 250 entries and so I would like to pass on my congratulations to them and everyone who submitted their ideas. “It was important to run this competition because the Scottish Government is committed to achieving safer road travel which is why we’re urging pupils to wear a seat belt where one is provided on school transport. “When the Seat Belts Act for dedicated school transport in Scotland comes into force, it will make sure one seat belt is provided per pupil as they travel to and from school. “While the Act won’t affect the law on the wearing of seat belts, which remains a reserved matter, the Scottish Government has always been clear that the Act represents an opportunity to promote successful approaches into seat belt wearing and wider awareness of this issue."